Now, we veteran blossom fans know the rules. The people of the Washington region would never pick a blossom or climb on a cherry tree for pic to send to Mom. Right? Right. 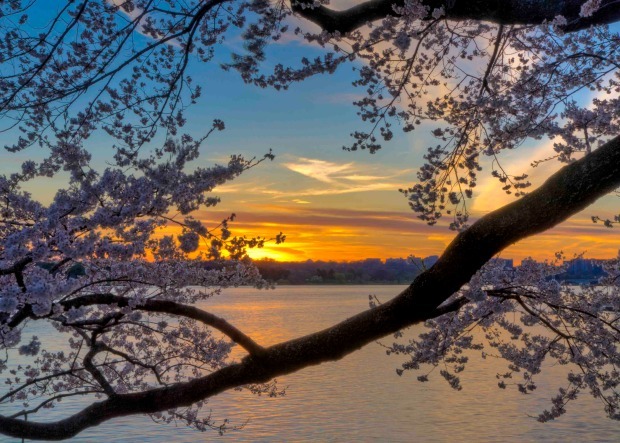 But if you see a rookie blossom-gazer breaking the rules, kindly remind them that it's a no-no to violently rip the delicate, beautiful blossoms from their rightful place on the Tidal Basin trees. Tell them they are causing the trees to suffer a slow, painful death and will likely cause mass extinction by 2012. Whenever you notice one of those awful cherry blossom faux pas, passive-aggressively note it Twitter via hashtag #blossomfail. We'll be watching, Washington. 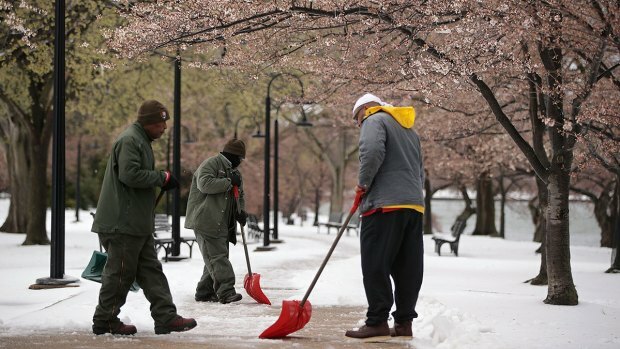 The National Park Service can explain just why picking the flowers or climbing the trees aren't good ideas -- and it's not because the NPS is selfish and wants to keep all the blossoms for themselves. There's science involved, people. The NPS said that when a cherry blossom is plucked, the woody stem it's attached to comes off, too. That exposes the entire tree to disease and possible infestation. It also prevents another cherry blossom from forming there for years to come. Climbing, hanging and leaning on the trees exposes them to further damage. If you want to learn more, watch the video at the top of the page, which is courtesy of the NPS. And if that doesn't work, tell the disobedient visitors that the Smithsonian logs all Tweets, so the shame of "Obvious tourist in FBI sweatshirt picking flowers #blossomfail" will last for a long, long time.